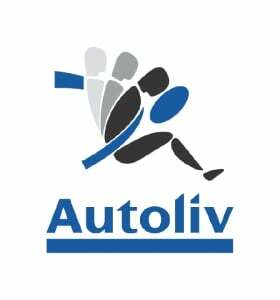 STOCKHOLM (Reuters) -- Swedish supplier Autoliv forecast slower sales growth and a flat operating margin in the second quarter after brisk vehicle production lifted its first-quarter earnings above expectations. Autoliv, the world's biggest maker of safety gear such as seat belts and airbags, said in a statement that quarterly operating earnings rose to $192 million from $182 million the year before, a rise of 5 percent. The mean forecast in a Reuters poll of analysts was for flat year-on-year earnings of $182 million. Strong growth in global car production boosted sales at Autoliv last year and the company said better than expected light vehicle production in regions such as western Europe helped drive volumes also in the first quarter. The company said it expected vehicle production to rise close to 10 percent in China, the world's biggest car market, this year while a sharp slowdown in output in Brazil would be a headwind. Autoliv said it expected organic sales, which strip out the effects of currency swings and acquisitions, to grow about 5 percent while its operating margin remained steady around 9 percent both in the second quarter and for the full year. The indication for the second quarter represented a slowdown from the first three months when like-for-like sales rose 8 percent, a shade better than the company's own guidance for an expansion of about 7 percent. "We continue to view 2014 as a transition year with high investments for growth, adjustments of our global footprint and a focus on our operational margin challenges," the company said.